​The main components of LiVduino are one Arduino Nano (or an Arduino Nano clone) and one NodeMCU. NodeMCU is configured to connect to the local WiFi access point. 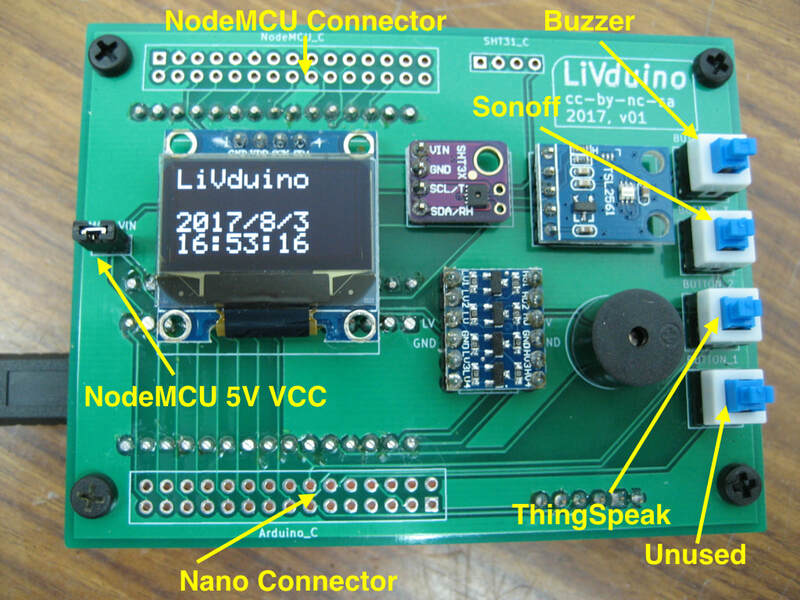 Node MCU receives messages from Nano over serial, interprets them, and performs communication with end-points (sends reports to ThingSpeak and switch on/off commands to Sonoff). LiVduino is powered by a USB cable plugged into Nano. NodeMCU is powered by 5V VCC from Nano. A voltage convertor is used for serial communication between different voltage levels (5V and 3V3 respectively) on Nano and NodeMCU. 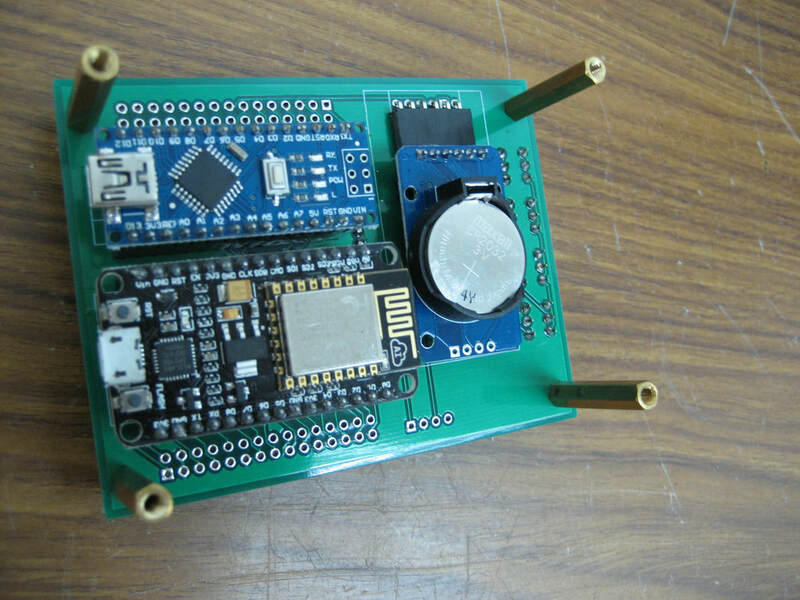 Both Nano and NodeMCU can be programmed with Arduino IDE.